FRANCESCO is a "bellissima" idea. 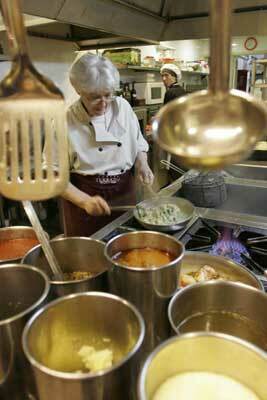 My mother, Teresa Barbera, has spent the last 57 years enjoying herself in her kitchen. She tells us: "Serving people is a profession. Each day we have a different appointment with each of our guests. Dealing with people is like touching a soft cloth. Each person should be treated nicely, but not in the same way, since every person is special." At Francesco, we welcome our guests in our own family's home, which we have converted into a restaurant. We want them to feel like they are having a family dinner at their best friend's home. Passion, creativity, sensitivity and love inspire each dish, expressed through taste, aroma and freshness.